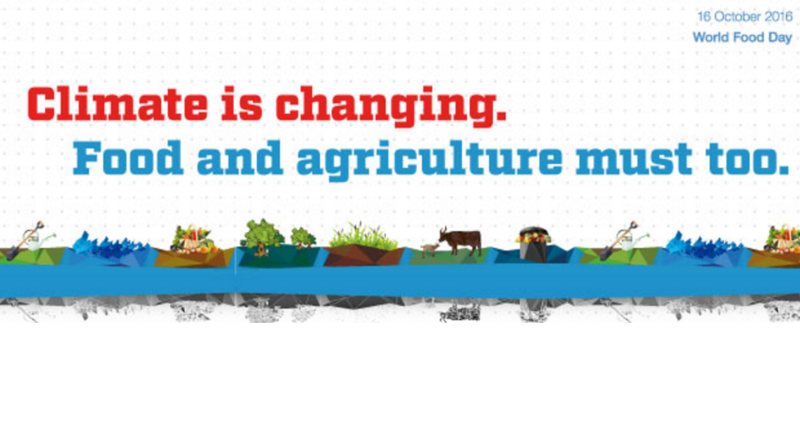 One of the biggest issues related to climate change is food security. The world’s poorest - many of whom are farmers, fishers and pastoralists - are being hit hardest by higher temperatures and an increasing frequency in weather-related disasters. At the same time, the global population is growing steadily and is expected to reach 9.6 billion by 2050. To meet such a heavy demand, agriculture and food systems will need to adapt to the adverse effects of climate change and become more resilient, productive and sustainable. This is the only way that we can ensure the wellbeing of ecosystems and rural populations and reduce emissions. It resonates with the crucial time in which the day will be observed, just before the next UN Climate Change Conference, COP 22, from 7-18 November 2016 in Marrakech, Morocco. Read the full article via FAO | World Food Day.